Tata Motors may be gearing to launch a crossover version of the Tata Tiago hatchback very soon, likely later this month. 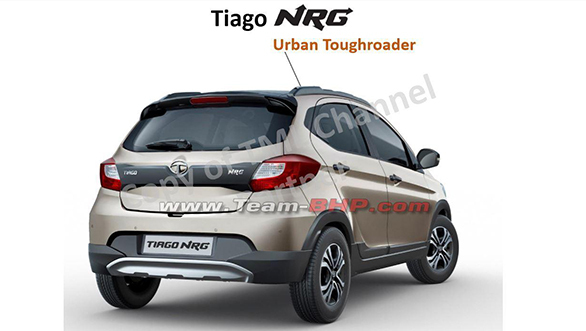 Leaked images show that the crossover will be named the Tata Tiago NRG. 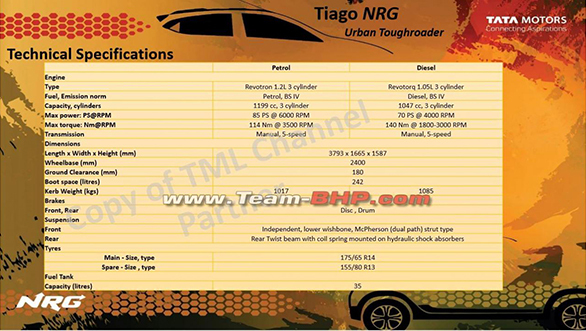 The images appear to be part of a product briefing document, and also include an image of the spec sheet, with all the details about the Tiago NRG. 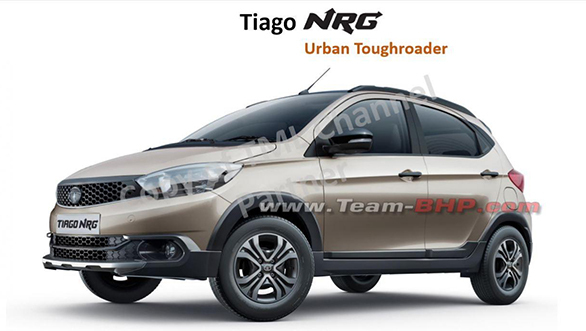 Visually, the Tata Tiago NRG will receive more rugged-looking plastic bits as well as added ground clearance to give it a crossover look. Reports state that the Tiago may be launched on September 12. Dimensionally, the Tiago NRG is slightly longer, wider, and taller than the standard Tiago, while the wheelbase remains the same. The ground clearance on the NRG has been increased to 180mm. The NRG receives a black body kit, that includes two-tone front bumpers as well as integrated silver scuff plates, side skirts and cladding around wheel arches as well as tailgate. The grille, roof, mirrors, and B-pillar get blacked out. There is also a small roof spoiler. The Tiago NRG also receives smoked headlamps and 4-spoke 14-inch alloy wheels. There will only be one trim level. Tata will offer the Tiago NRG with a 1.2-litre petrol or 1.0-litre diesel mated to a 5-speed manual gearbox.